As the Jakata team continuously grows and evolves it's great to introduce new members to the team. When regular client Abbi Green approached us about becoming a trainee it wasn't long before we got her on board! Abbi started with the team in June as a new apprentice after previously working at Arnold Clark doing admin. Just one month into her training she is already displaying the characteristics and work ethic of her fellow Jakata team members! Abbi started designing tattoos for a studio 7 years ago and went on to complete a diploma in art and design. She's been a client of the salon since 2014 and has always shown an interest in the hair industry. After having her little girl Maya, Abbi wanted to pursue her career as a stylist. 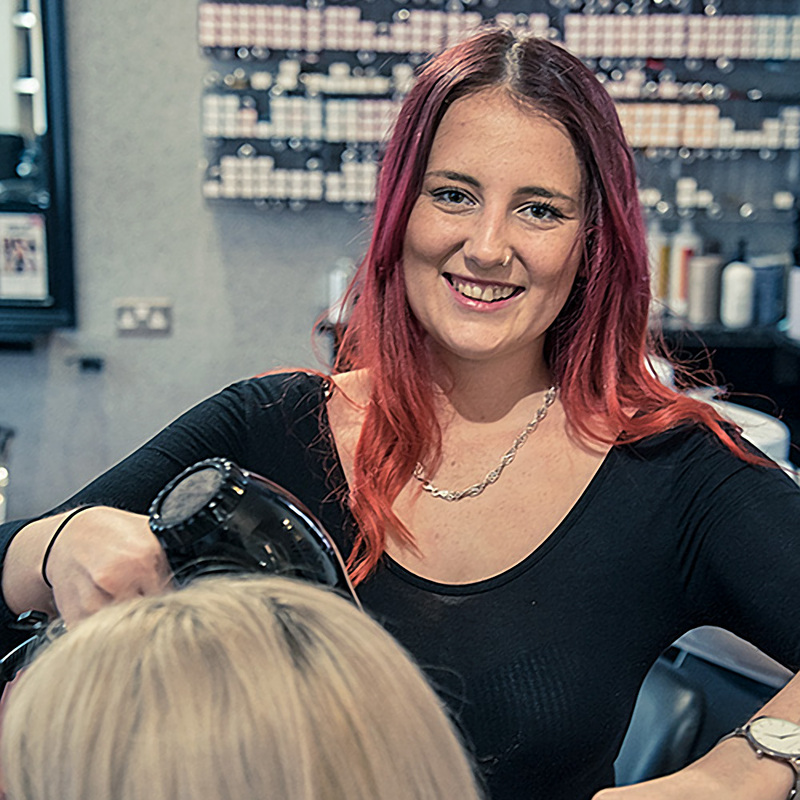 "I always wanted a career that was artistic and creative and hairdressing feels like the right fit for me. I have loved my first month being on the shop floor with everyone and enjoy the buzz of a busy salon environment"
At the moment Abbi has been focussing on colour and styling and has shown a natural flair for hair ups and creative styling. Her ongoing training will get her ready to be a fully fledged stylist within the year! A lot of hard work and focus lies ahead but with Jakata's high standard of training across all skills she'll be a confident stylist by this time next year. As part of her ongoing training Abbi requires models to help improve her skills. If you're interested in having a high quality service at a fraction of the price then give us a call on 01925 242960 to check for availability. All work is fully supervised by a senior stylist.